1st Source Bank is giving YOU the chance to help Francine's Friends receive $1,000 … or possibly $15,000. Be creative and factual and let them know why you think Francine's Friends should receive their donation. If you need help with your explanation, feel free to explore this website for facts and details about Francine's Friends. All you have to do is print and the fill out the Official Form found by clicking here (.pdf). Please note: Nominations will be accepted at any 1st Source Bank location between now and the close of business on November 30, 2013. Organizations will be selected on the quality and QUANTITY of entries received - and each entry must be unique and completed in full. So be sure to drop off your completed nomination form in time to be counted! Please take 10 minutes to do this so Francine's Friends has the best chance to receive the generous $15,000 donation. 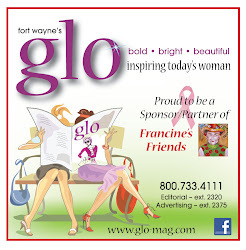 Read here about the first round winners - then help Francine's Friends join them!